During the frenzy of the holidays it is important for parents to take a little time for themselves. 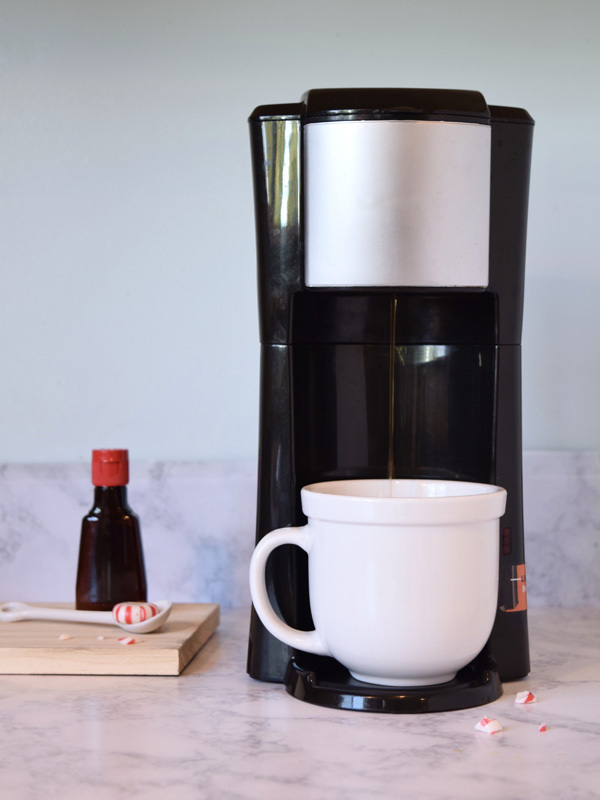 Warm up and space out with a steaming, decadent, flavorful cup of coffee, and take a break from your busy day for a quick snack! 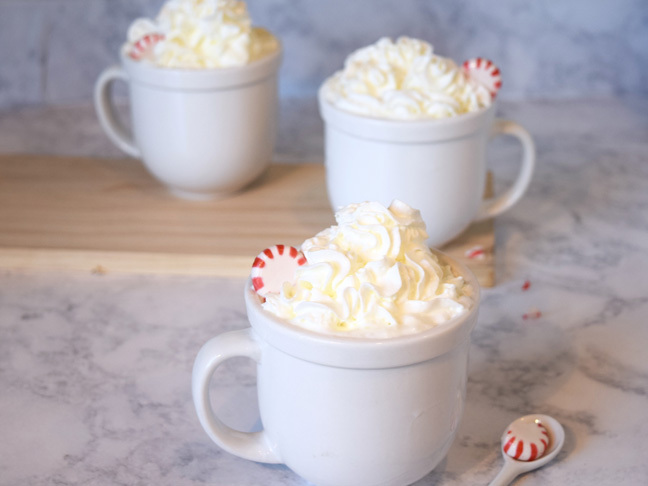 This simple peppermint latte recipe makes a fabulous drink you can sip in peace when you need some this holiday season. 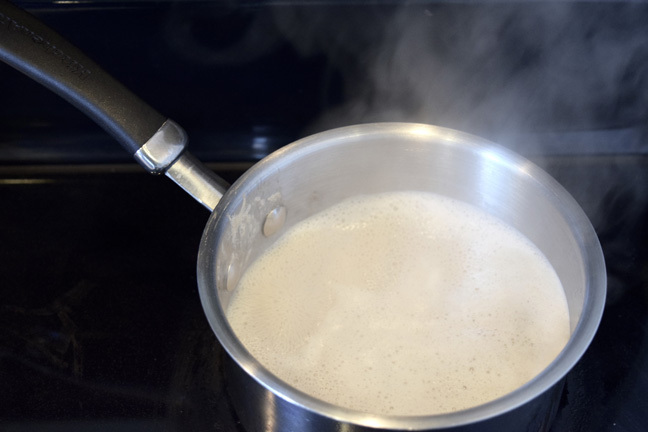 Step 1: Add the milk to a small saucepan and warm gently until tiny bubbles appear around the rim. 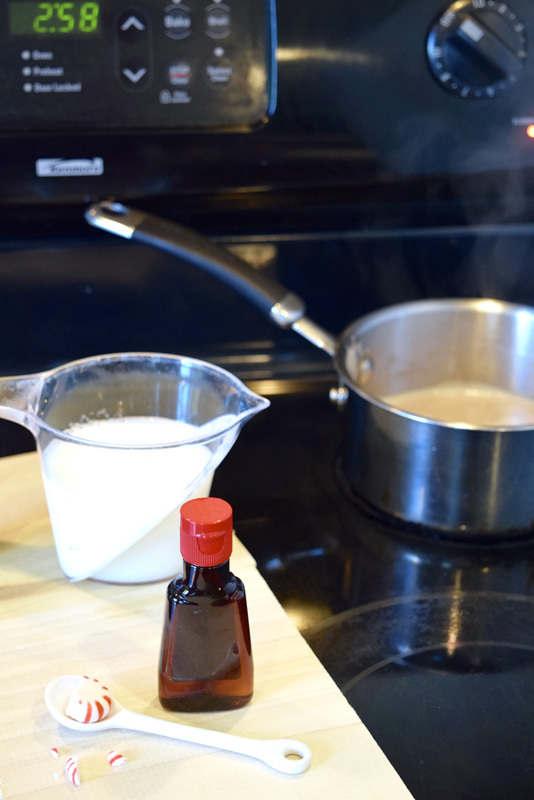 Add the hot coffee to the milk along with the peppermint extract and stir well. Step 2: If you really want to get fancy, Use a milk frother to froth up the peppermint latte if desired. 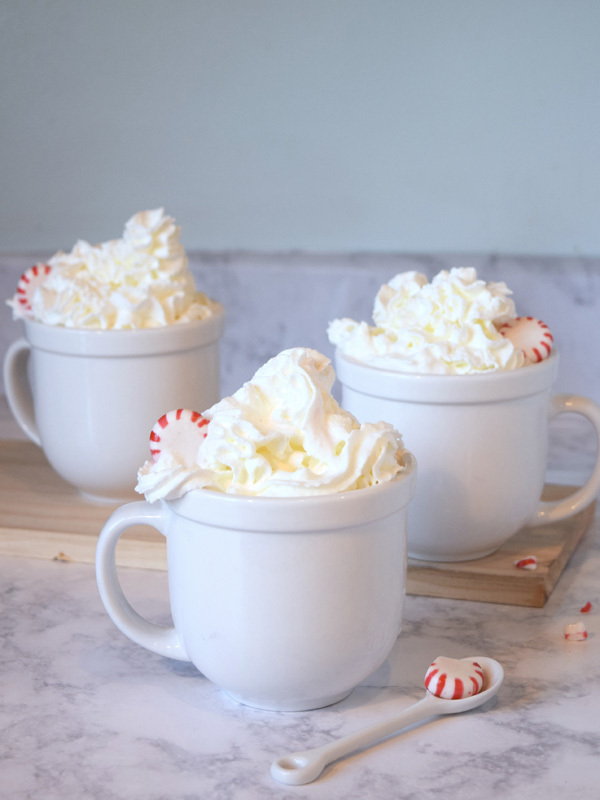 Pour the coffee into a mug, garnish with whipped cream and serve!